QUICK JUMP: Contestants Pageant Information How to compete in Miss America 2013? Miss America 2013 is Mallory Hagan! Phases of competition for Miss America include interview, swimsuit, onstage interview, talent and evening gown. Miss New York Mallory Hytes Hagan is Miss America 2013!! The 23-year-old from Brooklyn won the Miss America 2013 pageant wearing a white one-shoulder jersey gown. She will spend her year as Miss America traveling thousands of miles every month in order to promote her personal platform of Child Sexual Abuse Prevention and will also serve as the National Ambassador for the Children's Miracle Network, which is the national platform for Miss America. Early in the night, the top 16 announced to compete in swimsuit were Miss Montana Alexis Wineman (America's Choice), Miss Texas Danae Couch, Miss Utah Kara Arnold, Miss Oklahoma Alicia Clifton, Miss Wyoming Lexie Madden, Miss South Carolina Ali Rogers, Miss Tennessee Chandler Lawson, Miss Alabama Anna Laura Bryan, Miss Maryland Joanna Guy, Miss Illinois Megan Ervin, Miss Indiana Merriebeth Cox, Miss New York Mallory Hytes Hagan, Miss Florida Laura McKeeman, Miss Kentucky Jessica Casebolt, and Miss Iowa Mariah Cary. The judges were also allowed to an extra favorite contestant to the semifinalists for the first time. And they chose Miss Washington Mandy Schendel to join the semifinalists. This made the top fifteen into the top sixteen. Moving on to the evening gown were Miss Washington Mandy Schendel, Miss Maryland Joanna Guy, Miss Texas Danae Couch, Miss Alabama Anna Laura Bryan, Miss New York Mallory Hytes Hagan, Miss South Carolina Ali Rogers, Miss Indiana Merriebeth Cox, Miss Tennessee Chandler Lawson, Miss Oklahoma Alicia Clifton, Miss Wyoming Lexie Madden, Miss Illinois Megan Ervin, and Miss Iowa Mariah Cary. Competing in the talent portion later in the night, we had Miss Texas performing a twirling routine, Miss Tennessee sing Adele's "Turning Tables," and Miss Illinois' modern dance to Journey's "Faithfully." Afterwards, there was a doughnut break for the eliminated contestants for some reason. Following the brief doughnut intermission, Miss Oklahoma tap danced to Michael Buble's "Can't Buy Me Love," Miss Wyoming played an original composition on the piano, Miss Maryland sang "I Dreamed a Dream" from Les Miserables, and Miss New York tapped danced to James Brown's "Get Up Offa That Thing." Following another, albeit doughnut free break, Miss South Carolina played the Jackson 5's "I Want You Back, " Miss Iowa tap danced to Scatman, and Miss Washington sang Rascal Flatt's "My Wish For You." It got down to the final onstage question. Miss Oklahoma answered a question about sensationalized pageant reality shows such as Honey Boo Boo and Toddlers & Tiaras. 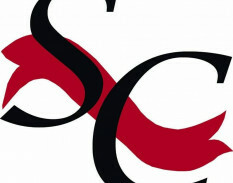 Then Miss South Carolina responded to her query concerning ESPN's fiasco with Miss Alabama USA 2011 Katherine Webb. Miss New York answered her question about armed guards in schools following the Newton shooting. Miss Iowa was questioned about whether marijuana should be legalized for recreational use. And Miss Wyoming responded to an inquiry about young children being put on ADHD medications. But the most important question had yet to be answered. Who was the next Miss America? The fourth runner-up was Miss Iowa Mariah Cary. The third runner-up was Miss Wyoming Lexie Madden. The second runner-up was Miss Oklahoma Alicia Clifton. And the first runner-up was Miss South Carolina Ali Rogers. Congratulations to our new Miss America 2013, Mallory Hytes Hagan! On night one of preliminary night the winners were Miss Oklahoma, Alicia Clifton in Talent and Miss South Carolina, Ali Rogers in Lifestyle & Fitness. 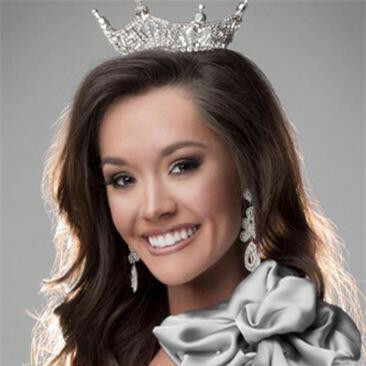 Miss Oklahoma is a 21-year-old native of the Sooner state where she attends the University of Oklahoma in pursuit of a Bachelor’s in Journalism. Clifton captured the audience and judges during talent with her tap dance number. The clever queen has tied her talent into her platform issue, “Tap” Into Lifelong Volunteerism. Along with Oklahoma’s win, Miss South Carolina captured the judges’ attention. Rogers reigns from Laurens, South Carolina and has gone above and beyond with the hope to “Make a Difference” during her year. 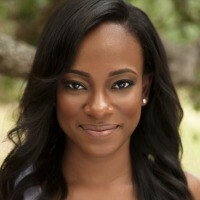 Miss South Carolina aspires to obtain a Bachelor of Arts in Communication and a Master’s in Public Relations. On night two of preliminary night the winners were Miss Maryland, Joanna Guy in Talent and Miss Illinois, Megan Ervin in Lifestyle & Fitness. Miss Maryland won the night with her vocal talent. Guy is a student at Cornell University where she hopes to one day obtain a Juris Doctorate for a career in law or public service. As Miss Maryland, she’s already started her public service with her platform issue Heart to Heart: Raising Awareness for Healthy Hearts. Miss Illinois’ win in Lifestyle & Fitness makes sense as her platform issue this year is “The Heptathlon of Healthy Habits.” This ambitious queen attends Western Illinois University and aims to obtain a Master’s Degree in Exercise Physiology. Ervin dreams to own and operate her own dance and fitness studio and in the future market her “Cross-Lates” Fitness Method on DVD. On the final preliminary night the winners were Miss North Dakota, Rosie Sauvageau in Talent and Miss Washington, Mandy Schendel in Lifestyle & Fitness. Miss North Dakota has a dream of bringing music to people as a successful musician after she obtains a Master’s in Musical Theatre Writing. Sauvageau took home the talent award with her skills on the piano while singing. Maybe one day she will make a difference through music with her platform to Celebrate Diversity: One Nation, All People. Miss Washington is working towards her Juris Doctorate at Azusa Pacific University so that one day she can become a Supreme Court Justice. Schendel’s platform issue is to Do Something: Enriching Youth, Cultivating Leaders. With her win in Lifestyle & Fitness she has taught the youth the benefits of staying healthy and teaching others to be leaders towards a more healthy lifestyle.